Subaru says that the new Lineartronic CVT that's available in the 2.5i model needs no maintenance for the life of the vehicle. That's a major advantage over conventional automatics and their fluid changes (and sometimes flushes). The 2011 Subaru Legacy is one of the best-handling mid-size sedans, and the only mainstream one to offer standard all-wheel drive. Last year the mid-size Subaru Legacy was completely redesigned. While the core (and somewhat quirky) essentials remain—a horizontally opposed (boxer) engine lineup and standard all-wheel drive—the Legacy has gained a little more mainstream appeal. 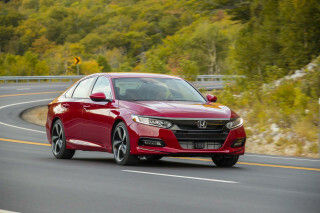 For one, it's a bit larger and much roomier than before; it has a little more luxury and refinement; and with a new CVT automatic on base four-cylinder models it now has segment-leading fuel economy among all-wheel-drive sedans. The Legacy remains offered in three different engines, each bringing very different overall personalities to this sedan: Base 2.5i models are perfectly adequate but for the frugal and sensible; turbocharged 2.5GT models appeal to driving enthusiasts; and the six-cylinder 3.6R takes the Legacy into new, more luxurious territory. 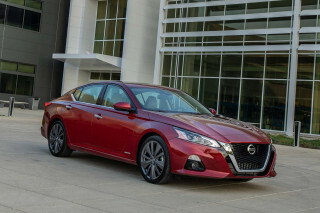 With the the redesign, the Legacy grew several inches in most directions, with its proportions and stance becoming much more in line with segment best-sellers like the Honda Accord or Nissan Altima. Whether you choose the base 2011 Subaru Legacy 2.5i model or the top-of-the-line 3.6R, you won't see much difference from a distance. At first glance, it looks larger and more substantial, and there's noticeably more visual pinache inside and out. At the front, a rakish snout and arched roofline taper down to a short, tall decklid. A thin strip of chrome brightwork accents the arch and tucks down to the back door. Aggressively lipped wheel wells keep the Legacy from appearing too slab-sided, while two character creases help give the design some cohesion: one running from the edge of the winged chrome grille through the hood to the front pillars, the other running from the broad, well-detailed headlamps, skirting the front wheel well, and further defining the beltline. Inside, the Legacy breaks away from the cabin designs of other current Subaru vehicles like the smaller Impreza family, or Forester or Tribeca crossovers. The design includes an upright center stack with a metallic-look finish flanked by vents that almost echo the winged, upward theme of the grille and headlights, with the audio system placed high. At the front, close to the driver's field of vision is a trip computer, and the instruments themselves are simple, with nice, round gauges. While the Legacy's look changed last year, its driving personality carried through: The 2011 Subaru Legacy still has a quirky powertrain layout, surefooted all-wheel-drive performance, and better handling and roadholding than is typical in the mid-size sedan class. The 2011 Legacy comes with three different engines. 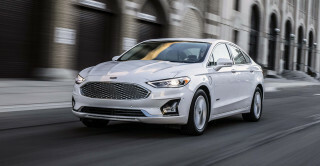 The base 2.5i version gets the familiar 170-horsepower, 2.5-liter horizontally opposed "flat" four-cylinder engine, while the 2.5GT upgrades to the 265-horsepower version of the 2.5-liter engine; the new 3.6R model replaces the old 3.0-liter model, moved by the Tribeca's 256-horsepower, 3.6-liter flat-six. If you go with the 2.5i, you have a choice of a new six-speed manual or a continuously variable automatic transmission (CVT), which Subaru calls Lineartronic. While 2.5GT models come only with the six-speed manual, 3.6R models have a conventional five-speed automatic transmission. 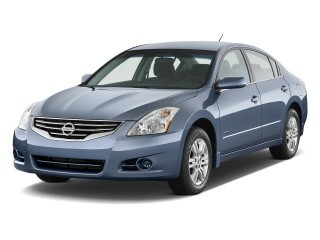 Across the model line, the Legacy feels just a little bit sportier than rival models from most other automakers. Steering is very precise and responsive—if a bit overboosted for some tastes—and the firm yet compliant suspension feels ready for abrupt maneuvers. Each of the models has a slightly different feel: Base models feel light and nimble, as do 2.5GT models, while the 3.6R comes across as a little bit heftier, with a nose-heavy emphasis in sharp corners. Push the Legacy hard into a corner and there's some body lean, yet the suspension maintains grip beyond expectation; it's tough to upset the sedan's poise—especially in inclement weather—and in the best road conditions there's surprisingly little nosedive in hard braking or front-end lift in hard acceleration. Most of the Legacy's few extra inches of wheelbase it gained last year went to backseat room, so now the 2011 Subaru Legacy is a very roomy sedan, capable of accommodating four adults in comfort—even for an all-day trip. The Legacy's front seats are among the better in this class—even the ones you get in base 2.5i models—and they adjust for loads of legroom and have nice, long cushions. A wide range of driver body types will be able to find a comfortable driving position with the tilt/telescopic wheel adjustment. A 6'6" editor found just enough headroom in back and plenty of legroom. Entry and exit to the back are good, we're impressed with the standard cloth upholstery, and the trunk is very spacious. Overall, ride quality is firm but just supple enough for most surfaces, and the ride is very quiet—especially compared to the last-gen Legacy. The value factor for the Subaru Legacy got a lot stronger with its redesign last year, as Subaru ramped up standard equipment while actually dropping prices through much of the model line. The 3.6R models dropped the most in price, but our editors' pick for best value is the base 2.5i model, which is an amazing deal at a starting price of around $20k (or a thousand more with the CVT). 2.5GT and 3.6R models can be equipped with items like Harmon Kardon premium audio, Bluetooth connectivity, USB and iPod interfacing, and streaming Bluetooth audio. The 2011 Subaru Legacy has a cohesive design inside and out and is nicely detailed, but it's not particularly attention-getting. With the Legacy's complete redesign last year, Subaru's mid-size sedan grew several inches in most directions, with its proportions and stance becoming much more in line with segment best-sellers like the Honda Accord or Nissan Altima. Whether you choose the base 2.5i model or the top-of-the-line 3.6R, you won't see much difference from a distance. At first glance, it looks larger and more substantial, and there's noticeably more visual pinache inside and out. At the front, a rakish snout and arched roofline taper down to a short, tall decklid. A thin strip of chrome brightwork accents the arch and tucks down to the back door. Aggressively lipped wheel wells keep the Legacy from appearing too slab-sided, while two character creases help give the design some cohesion: one running from the edge of the winged chrome grille through the hood to the front pillars, the other running from the broad, well-detailed headlamps, skirting the front wheel well, and further defining the beltline. Inside, the Legacy breaks away from the cabin designs of other current Subaru vehicles like the smaller Impreza family, or Forester or Tribeca crossovers. The design includes an upright center stack with a metallic-look finish flanked by vents that almost echo the winged, upward theme of the grille and headlights, with the audio system placed high. At the front, close to the driver's field of vision is a trip computer, and the instruments themselves are simple, with nice, round gauges. 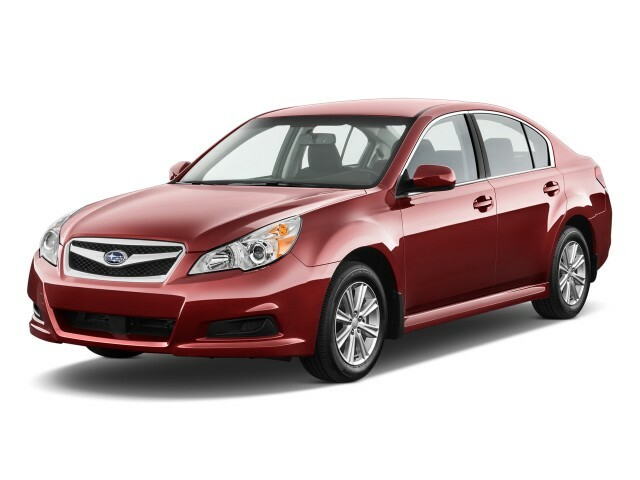 The 2011 Subaru Legacy stands apart from other mid-size sedans thanks to excellent steering and nimble handling. While the Legacy's look changed last year, its driving personality carried through: The 2011 Subaru Legacy still has a quirky powertrain layout, surefooted all-wheel-drive performance, and better handling and roadholding than is typical in the mid-size sedan class. The 2011 Legacy comes with three different engines. 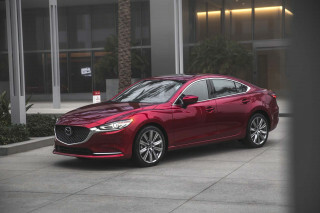 The base 2.5i version gets the familiar 170-horsepower, 2.5-liter horizontally opposed "flat" four-cylinder engine, while the 2.5GT upgrades to the 265-horsepower version of the 2.5-liter engine; the new 3.6R model replaces the old 3.0-liter model, moved by the Tribeca's 256-horsepower, 3.6-liter flat-six. If you go with the 2.5i, you have a choice of a new six-speed manual or a continuously variable automatic transmission (CVT), which Subaru calls Lineartronic. While 2.5GT models come only with the six-speed manual, 3.6R models have a conventional five-speed automatic transmission. If you don't carry a full load all the time, or you aren't the type to be bothered by 0-60 times that approach ten seconds, the base 2010 Subaru Legacy 2.5i models perform just fine, with adequate acceleration for most needs whether you choose the six-speed manual or the CVT. The new Lineartronic transmission actually gets better fuel economy than the manual transmission (with a best-in-class EPA rating of 23 mpg city, 31 highway), and it includes paddle shifters that simulate six ratios; downshifts occur in as little as a tenth of a second. Just as with the outgoing Legacy, the turbocharged 2.5GT feels the fastest; the model inherits the WRX's new engine, with a greatly flattened torque curve, and it delivers power quickly, smoothly, and with very little turbo lag. The 3.6R engine brings a completely different character—it's confident, torquey, and relaxed, and its fuel efficiency is about the same as the turbo engine. Whether with the naturally aspirated engine in the base 2.5i or the turbo engine in the 2.5GT, the clutch pedal is light and engages smoothly and precisely; it combines with a throttle that's progressive, with a gentle tip-in, so almost right away you'll be taking off smoothly. Yet throttle response is quick with either engine; rev-matching for quick downshifts is also easily done. Ride quality in the 2010 Subaru Legacy is excellent and refinement is a huge step forward compared to past models; materials are nice but not spectacular. Thanks to the few inches of additional wheelbase the Legacy received in its complete redesign last year, which mostly went to backseat room, the 2011 Subaru Legacy is a very roomy sedan, capable of accommodating four adults in comfort—even for an all-day trip. The Legacy's front seats are among the better in this class—even the ones you get in base 2.5i models—and they adjust for loads of legroom and have nice, long cushions. A wide range of driver body types will be able to find a comfortable driving position with the tilt/telescopic wheel adjustment. A 6'6" editor found just enough headroom in back and plenty of legroom. Entry and exit to the back is among the easiest, thanks to a door opening that matches the rear backrest. All the small conveniences are represented as well, with eight cup holders, cubbies in each door, several center console bins, and map pockets, plus an overhead console on all models. We like the standard cloth upholstery, which was comfy without looking too delicate or attracting pet hair. The trunk is absolutely huge—seeming larger than its official 14.7 cubic feet—with a nice big opening, and an easy pull from levers right up near the trunk rim causes the seats to flip forward, creating a flat load surface. Ride quality is good—a bit on the firm side but still comfortable—throughout the model line. The Legacy has a supple ride that soaks up small imperfections, potholes, and general coarseness, and relative to its predecessor and most other mid-size sedans, the new Legacy's cabin has very little road noise. Framed doors are a nod to wind-noise reduction. The only weakness, perhaps, is interior materials. Although the interior on base models is better than most of what you'll find in entry-level Camrys and Fusions, 3.6R models have faux wood and the same hard surfaces that together aren't as convincing. Build quality has been excellent, though, over several test cars. 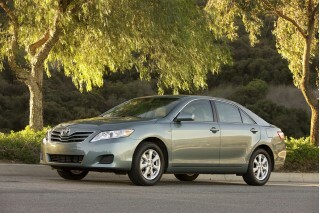 The 2011 Subaru Legacy is strong on safety and security, though its crash-test scores are no longer perfect. The 2011 Subaru Legacy continues a long tradition of strong safety ratings and occupant protection—with an excellent set of features to match—but the Legacy no longer has top marks in all crash tests. In insurance-supported IIHS tests, the 2011 Legacy has earned top 'good' ratings in all categories, including frontal, side, and rear impact tests, as well as the new roof-strength (rollover) test; and it's earned the Top Safety Pick accolade from the IIHS. Meanwhile, the federal government has restructured its testing program this year, and in the revised tests the Legacy earned good, but not excellent, ratings—with four stars overall, as well as in frontal and side tests and the new side pole test. Across the model line, front side airbags, side-curtain bags, electronic stability control, and anti-lock brakes with brake assist are all standard. All models also include an electronic parking brake with an electronically operated Hill Holder System that aids safe, smooth starts either facing up or down on steep inclines. It can also be argued that in some situations Subaru's road-savvy all-wheel drive system can aid safety and security as well. With a strong list of standard features—including all-wheel drive—and an aggressive pricing strategy, nearly all of the 2011 Subaru Legacy models are a strong value. The value factor for the Subaru Legacy got a lot stronger with its redesign last year, as Subaru ramped up standard equipment while actually dropping prices through much of the model line. The 3.6R models dropped the most in price, but our editors' pick for best value is the base 2.5i model, which is an amazing deal at a starting price of around $20k (or a thousand more with the CVT). At that price, it includes power windows, locks, and mirrors; air conditioning; cruise control; tilt-and-telescope steering; keyless entry; split-folding rear seatbacks; and a four-speaker AM/FM CD player with aux input. Steering-wheel audio controls are also included, and for 2011 the Legacy gets folding outside mirrors at all trim levels. The Subaru Legacy 2.5 GT Premium has been discontinued for 2011, so turbocharged models are only offered in very well-equipped 2.5GT Limited trim, including chrome exhaust tips, a power driver's seat, dual-zone climate control and a 440-watt (and now XM satellite radio compatible) Harman Kardon premium audio system, a power moonroof, and fog lights. 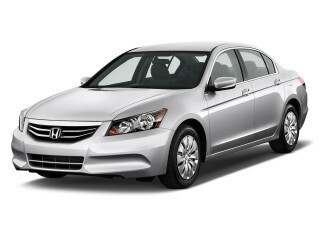 The system is also optional on the Premium, as is a moonroof. A voice-activated nav system—one of the better ones on the market, and not requiring a complicated controller—is optional only on the Limited and includes a backup camera, Bluetooth connectivity, USB and iPod interfacing, and streaming Bluetooth audio. While the base 2.5i versions of the 2011 Subaru Legacy is segment leading for fuel, when equipped with the CVT, other versions of the Legacy aren't nearly as green. Thanks to the new continuously variable (CVT) automatic transmission that's available in 2011 Subaru Legacy 2.5i models, the Legacy can have the highest fuel economy of any mid-size, all-wheel-drive sedan. 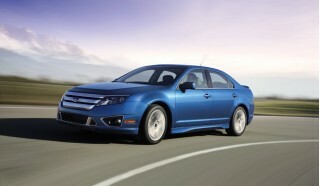 With this transmission, we've met or exceeded its 26-mpg combined figure in a mix of driving. Unfortunately, the rest of the Legacy lineup isn't nearly as fuel-efficient. If you want the manual transmission, it comes with significantly lower EPA ratings, and in either 2.5GT or 3.6R variants the Legacy is only rated 18/25. Good, dependle, and safe transportation winter and summer. We are very pleased with our legacy. It is our 2nd Subaru and there will probably be a third one soon. With about 215 Hp it would be near perfect. 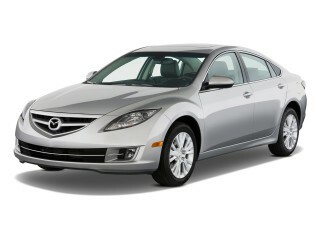 Hp is the one thing that would make this car better and fuel economy. needs another 30-45 Hp more. Great car (although understandable), but, behind what is available today- both in Subaru and other brands.